December 20, 2016 - Taipei Taiwan - Taiwan is a multi-religious society – I-Kuan Tao originated from China and has since expanded into a global religious community. 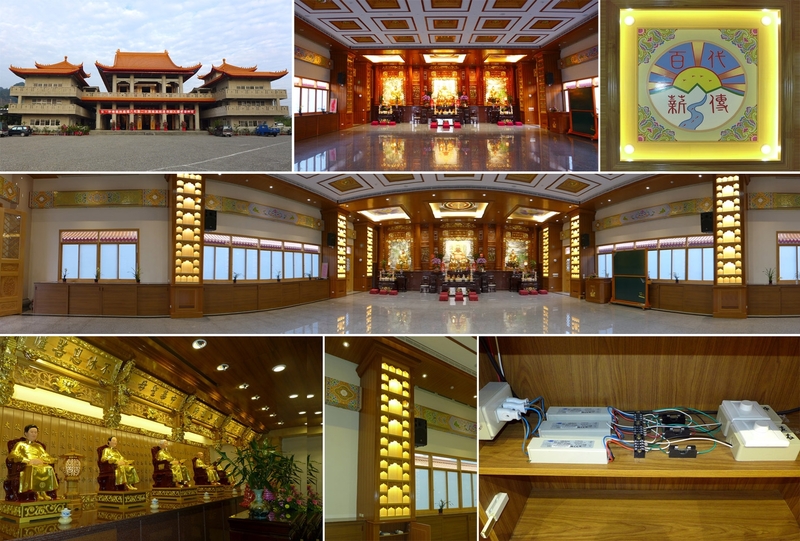 On November 26, 2016 the largest green energy temple opened in Changhua City, Taiwan. Its lighting scheme employs GlacialLight AR111s, down lights, and track lights along with advanced lighting controls: electronic potentiometers (dimmers) and GlacialPower dimmable drivers. By combining different lighting fixtures, control systems, and beam angles, the statues are rendered solemn, gorgeous, and lifelike. The entirety of the palace is lit to be very bright and warm. This design is not only energy-saving, but also upholds the traditional tenets of temple lighting.